Y4H is a 38 metre tri-deck motor yacht built by Sanlorenzo and delivered in 2017. Sheis hull #13 in the SD126 series, which blends key Sanlorenzo styling elements with the timeless shape of 1930s transatlantic liners. Powered by twin MTU engines, she has a max speed of 17 knots and boasts a maximum cruising range of 3000 nautical miles. Built for comfort and pleasure, Y4H accommodates up to 11 guests in 5 beautifully appointed staterooms, whilst also offering plenty of outdoor areas to relax and enjoy. United Yacht Sales New Jersey would love to guide you through a personal showing of this 124' Sanlorenzo Sd126 2017. 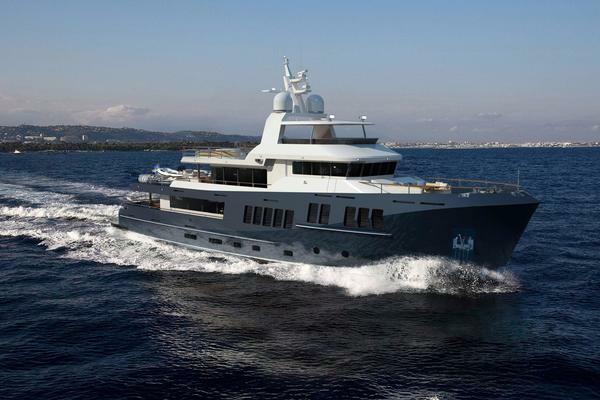 This yacht for sale is located in Zadar Croatia and priced at $12,800,000. For a showing please contact us by filling out the form on this page and we will get back to you shortly!